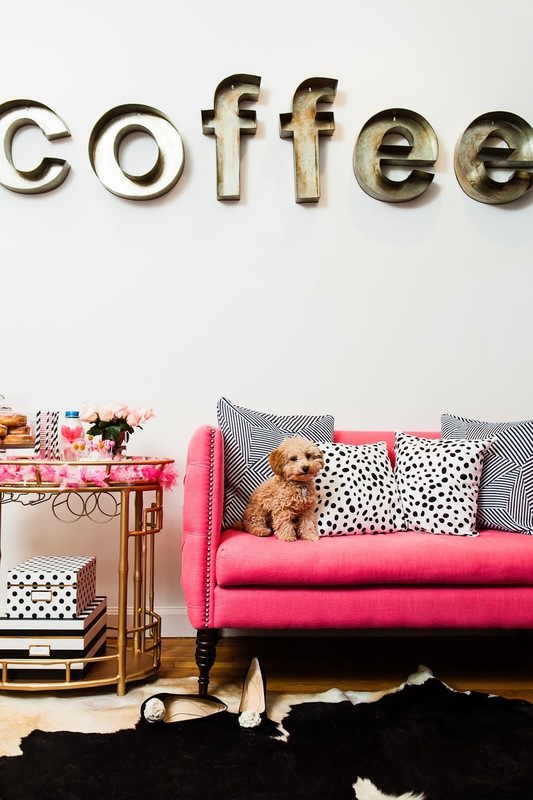 Pink is not just a girl room hostess already for a long time. 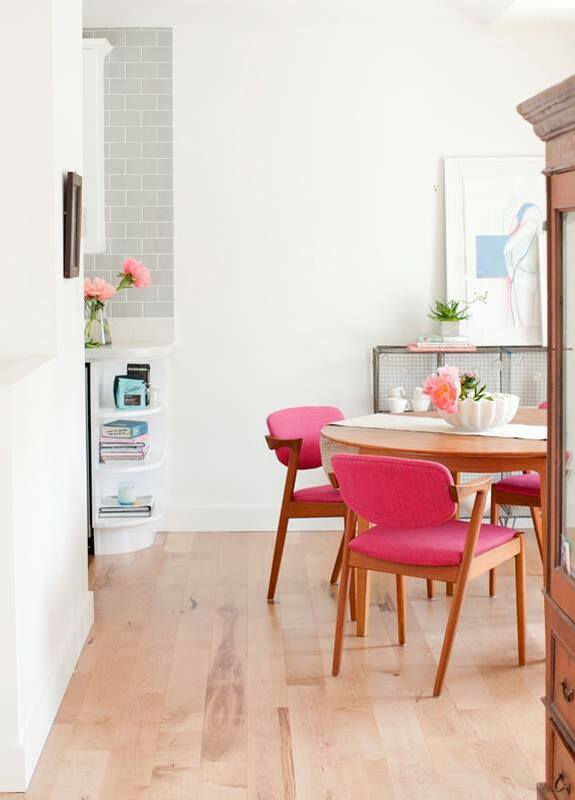 Pink is not just a girl room hostess already for a long time, it‘s equivalent to any other colour which is used to create interior accents. 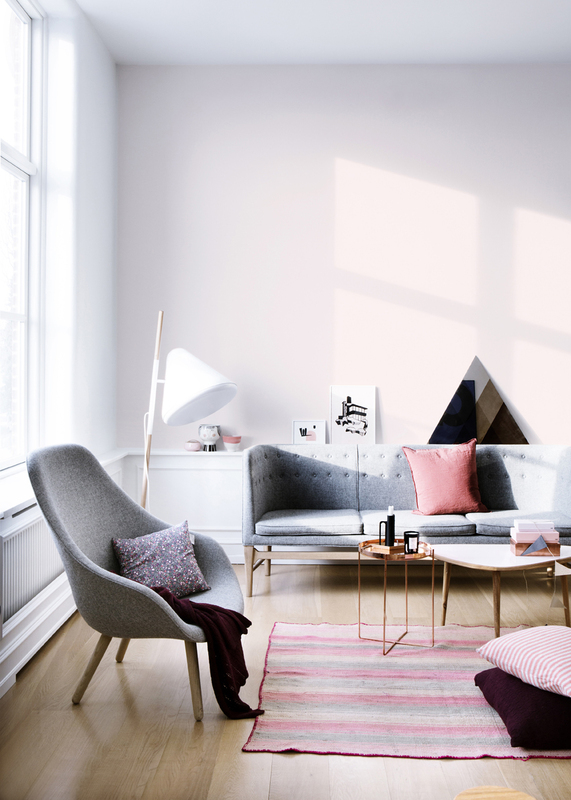 Whether it‘s a Scandinavian interior or a homestead – the accents of the color pink perfectly fit here if only you aren‘t afraid of stereotypes and accurately combine other colours. 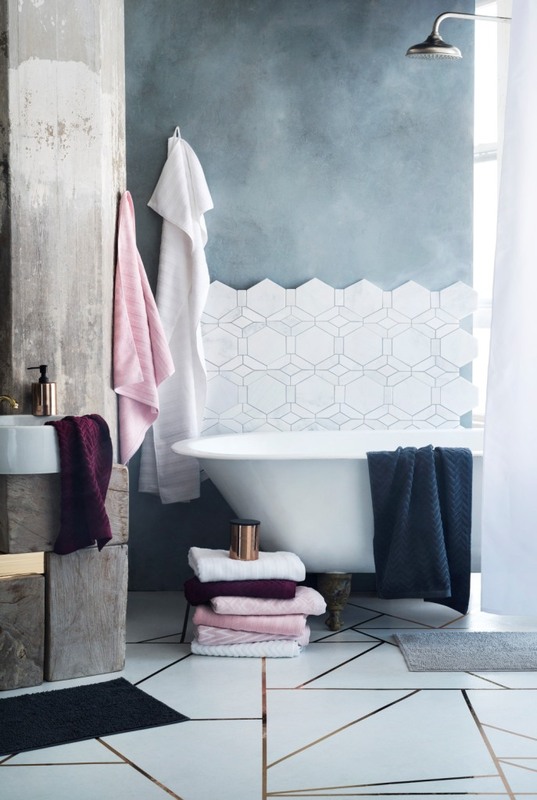 H&M Home have ideas and suggestions how and with what to combine the colour pink this year. 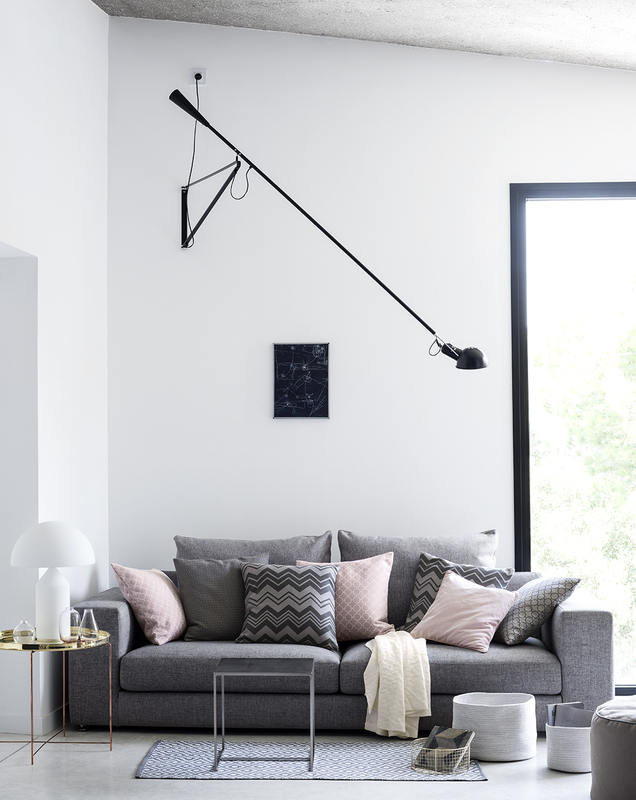 It‘s obvious that it perfectly ‘associates‘ with the colours grey, white, black and blue. 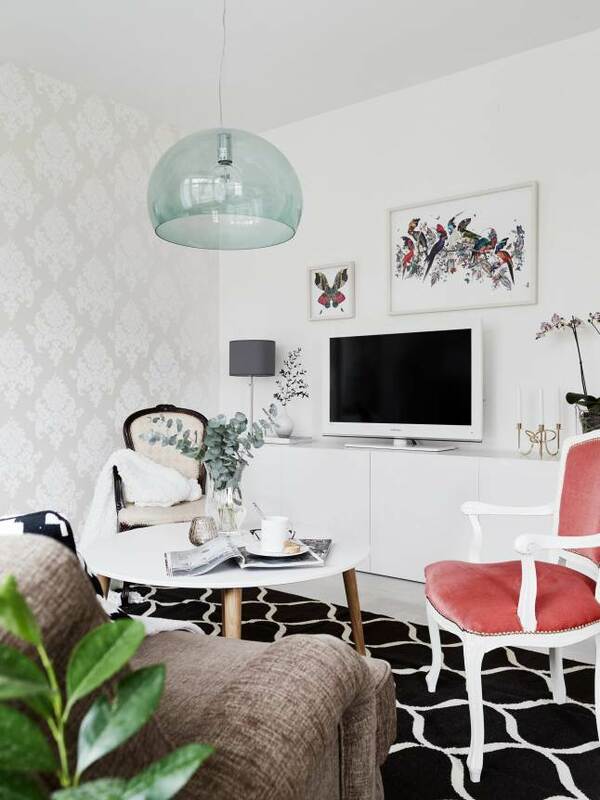 The sofa of the colour pink looks perfectly. 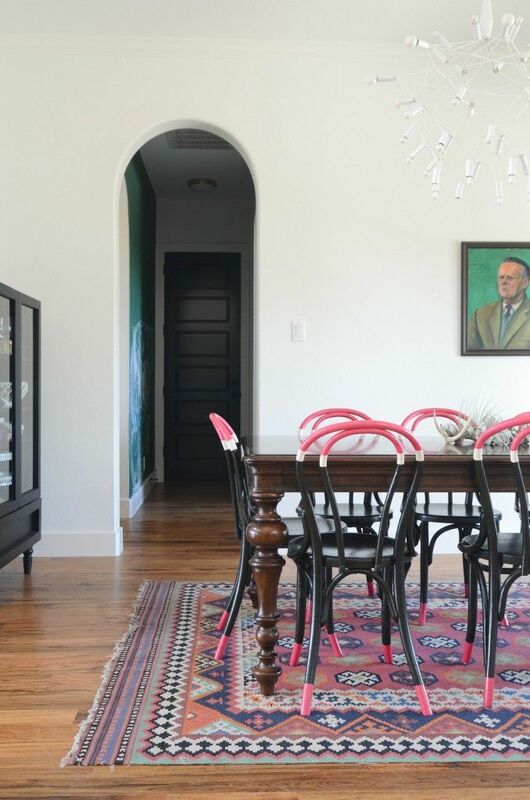 In first case it perfectly joins to an old construction interior in a way that is ununderstandable for me and in a second case the view is rather ‘barbyish‘ and sweet, yet by no means girly (I see from a photo that the space has been prepared for some kind of celebration). 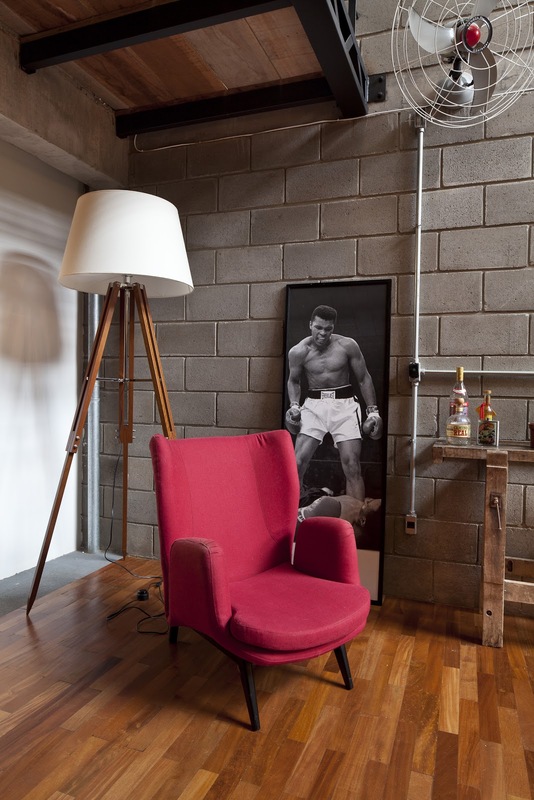 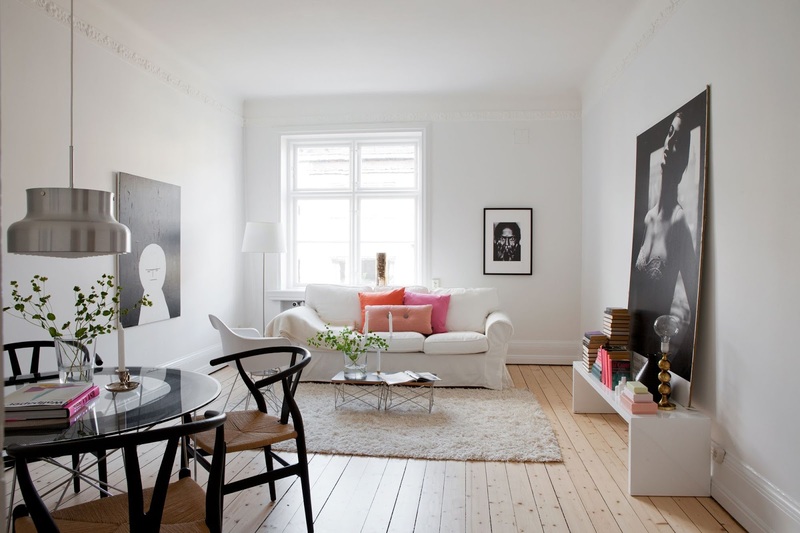 A bright armchair or chairs will brighten white and grey interiors. 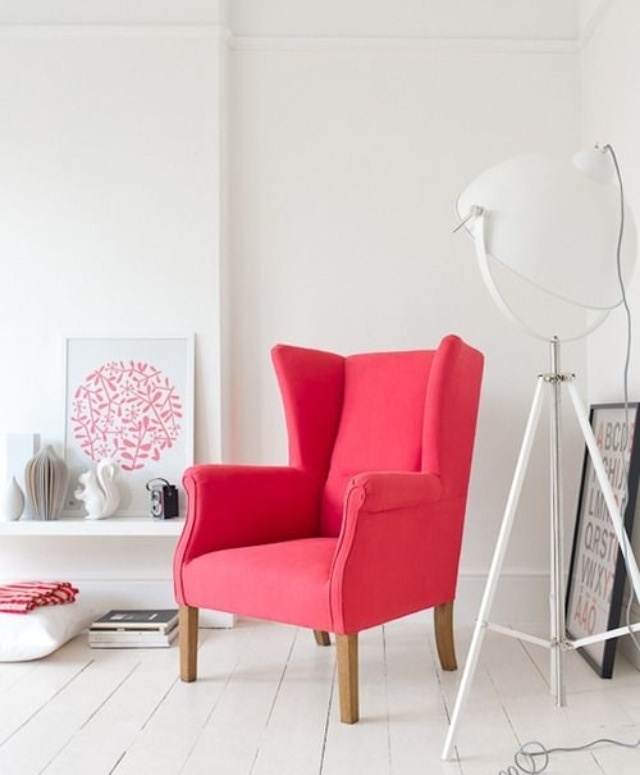 Wonderful chairs – the colour pink doesn‘t put a whole and even fits to a green painting. 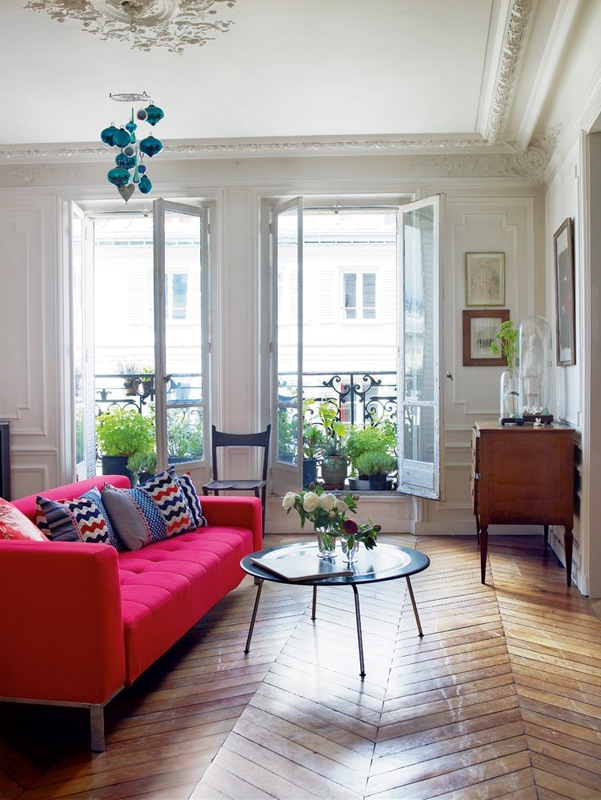 Probably everyone has already learned that the easiest way to change the interior view and mood is through the pillows – conditionally cheap and flexible solution for other ideas. 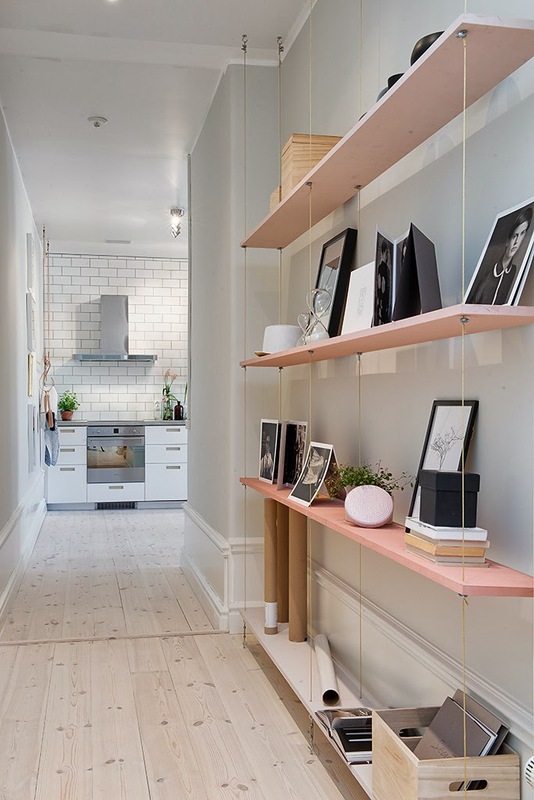 The shelves of soft pink color warm up the Scandinavian interior. 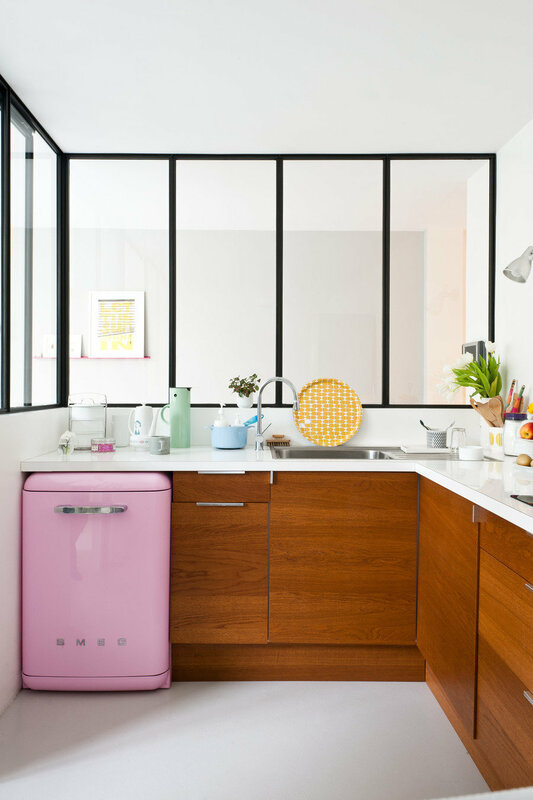 A very lovely kitchen of pastel colors. 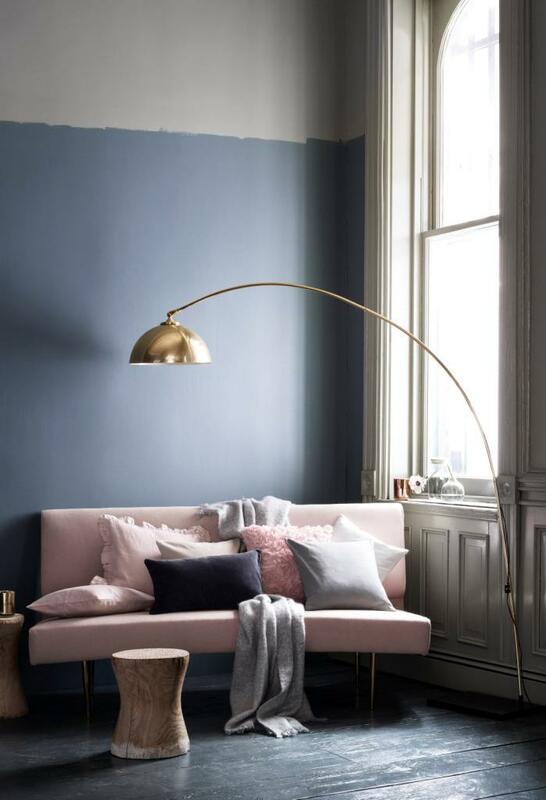 The colors soft pink, minty, blue and yellow will fit for a rather romantic and dreamy personality. 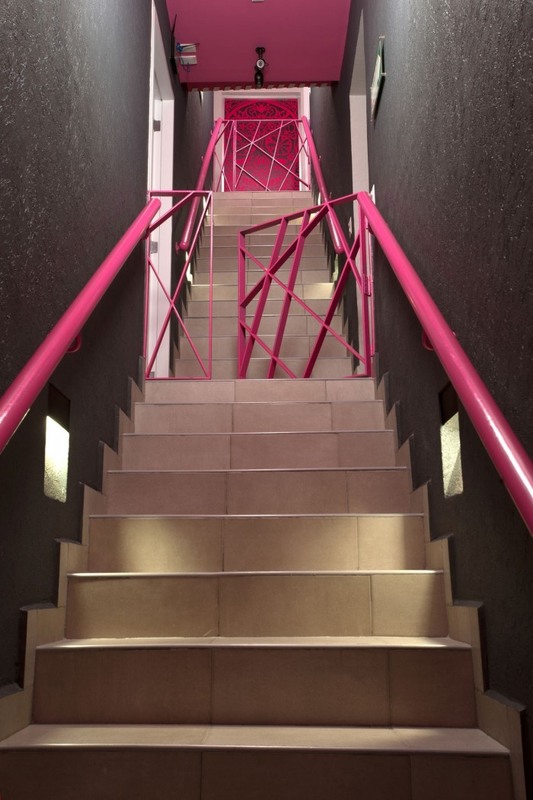 You see the hotel staircase, however, brave personalities can implement it and in their own home.